A few weeks ago I set up blogs for two of my most enthusiastic student bloggers, Rhiannon and Bianca. I chose these students as they regularly left comments on our 2KM class blog and were committed to learning as much as they can about blogging. After gaining their parents’ permission, I set their blogs up, adding myself as an administrator. I had a discussion with Rhiannon and Bianca about what they’re going to blog about and how often they’ll post. We then revised the features of quality posts as well as revising the cyber safety and netiquette guidelines they were already familiar with. After some initial familiarisation sessions my students were off and it didn’t take them long to learn the basics of blogging. Click here to check out Rhiannon’s blog. Click here to check out Bianca’s blog. Before long, my students were keen to use images off the internet to enhance their posts. This was a dilemma for me. 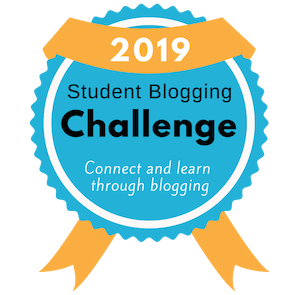 While my students are only in Grade Two and I don’t want to make blogging too complex for them, I knew that I would have to delve into the topic of copyright and Creative Commons to help my students develop good blogging habits. Little do many people know, you can’t just use any images off the internet in your blog posts. Not only is this ethically incorrect but you could leave yourself open to copyright infringement. 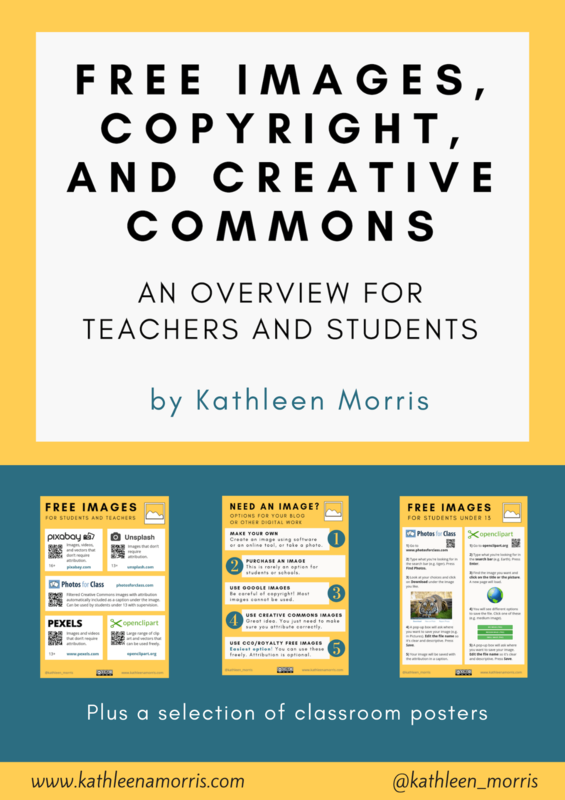 Wanting to make this process clear to my students, I typed up a document explaining copyright, copyright infringement and Creative Commons while also offering step-by-step instructions on how to use FlickrCC to upload and attribute images in blog posts. Obviously, there is more than one way to do this but given the age of my students, I wanted to keep things as straightforward as posssible. Below I have embedded this document. Feel free to use it with your students to teach them about these important blogging habits (note: the instructions for uploading the image to a blog post apply to Edublogs blogs). One of the things I love about teaching seven and eight year olds is that I can teach them about issues such as copyright, cyber safety, netiquette, social networking etc just before they reach the age where they would dive into these areas, prepared or not. I feel like I can make an impact in setting my students on the right path for their futures. I am constantly amazed at how my students respond when I challenge them and engage them with ICT and their results across the board never fail to impress me. Set your standards high, provide the structure and the support that your students need to scaffold their learning and reap the rewards! Will the how-to document be useful for you and your students? Do you have any questions about blogging or using internet images? What results have you seen from using ICT and setting high standards for your students? This is so good Kathleen, thank you for creating it. With your permission I would like to show it to my students, as although they are older and we have talked extensively about creative Commons before, they still forget and need reminding of this important rule. @ Henrietta, so glad you like it! I would love you to share it with your students – I think it is an important skill for all students to master and you’re right, it can be easy to forget! Let me know if the download doesn’t work and I can email it to you. I am so glad you thought to do this with our little blogging proteges! The instructions are so clear and our students picked it up very quickly, which is so rewarding. I love that we are teaching them correct internet etiquette along with all of the blogging skills! Helping the girls with their blogs has been a real highlight of term three for me! I look forward to starting more student blogs next term. @ Kelly, I agree. It has been a highlight of the term and now we have a solid structure in place it will be great to set up more student blogs after the holidays. These students have done a wonderful job of modelling the high standards we expect of bloggers like writing quality posts, replying to all their comments, using safe online behaviour etc. Thanks for your comment! Thanks for this. Students come to our school already in the habit of just grabbing things off the web. (Well, I did that, too, until I learned more about copyright, etc.) I’m glad you’re starting yours out early with good habits. And I may also use this, with some adaptation, with my students. It’s a good, clear explanation. @ Ann, that’s true. It is a VERY easy habit for teachers and students to develop so hopefully I can nip it in the bud. Hope this is helpful for your students. Like Ann, I think it is great that you are starting students on practicing Fair Use rules. I teach High school and it is sad to see how many students and teachers violate these rules simply because they don’t understand them. I am currently working with my students to create guidelines just as you did. It is our plan to distribute our guidelines school wide to make sure that all of our community is practicing Fair use. @ Melanie, what a terrific idea to create guidelines to distribute school-wide. You’re so right that it is just a lack of understanding that makes people unfairly use others’ work. And I have to admit, it wasn’t so long ago that I was guilty of that! Kathleen you have done a fab job on explaining this to your young ones and even at my job simple is best! I am probably going to write my own post for my students but your one has been very helpful and clear. I will return to it as I write my own and will attribute your part in it. Thank you. Perfect timing! I set up a class blog at the beginning of the year and my students are begging me to let them add their own avatars! Perfect time to address the issue of Creative Commons. You’ve given me the perfect launch!!! @ Mrs A, good luck introducing Creative Commons. I think it would have been harder if I had left it any longer and they had become used to using any old image. All the best with your launch! Amazing job explaining that! I learned from it too. I am so impressed how you set the bar high and they rise to it. Great foundation for all their future ICT learning. @ Aine, thanks for your continued support! I think writing out the document helped me understand it a little clearer. I can only hope my students continued to be challenged and supported in ICT in the coming years! Thanks for sharing your document. I’ve found teaching CC & copyright to be tricky. At one point some myspace sites used images my pupils had created as myspace backgrounds (they hot linked too, so I found them in our server logs). Thinking that this would be a good way to show how people could borrow with out permission and trying to get some indignation going I showed screenshots of the myspace pages, the pupils reaction was ‘cool!’. I’ve made a A flickr CC search toy which produces an embed code with attribution for pupils to use which is an alternative approach that has worked, pupils do need to switch to html view to paste in code. @ John, how interesting about the MySpace backgrounds. The search tool you’ve made is very cool, well done! I will save this one for the future. Thanks so much for sharing! Hi Kathleen. I so agree about teaching our students before they get into bad habits, or even before they realise they are using images incorrectly. Thank you for sharing this document. I’ve been doing some work on creative commons with my students in the last couple of weeks, but it has been difficult as sitels like flickr & compfight are blocked. Although I have unblocked them the site becomes accessible, but not the actual pictures as they are all housed on different sites! Very frustrating as its almost impossible to demonstrate to students when this happens. With your document they can go through the process at home and then talk to me if they have any problems. Thanks again! @ Pam, blocked sites are SO frustrating aren’t they! Strangely, while Flickr is blocked at our school, FlickrCC works (and hopefully continues to work!) I originally made the document because even though I was showing my students this process at school, I thought they might forget when they went home. Good idea sending the document home with your students. I hope it is a success! What a fabulous post about blogging and attribution for images! We are living in a time where people do just grab and post. Your point about teaching them early is quite valid! A teacher once told me that she teaches this lesson using student artwork. She posts her students’ art work on the class bulletin board, but will put another student’s name on it. When the students see their artwork on the wall with someone else’s name on it…it gives the perspective of what it feels like when you’re not given credit for your work. I’ve never tried it, but I might this year! @ Linda, thanks for your comment. I love the idea of putting up the students’ artwork with the wrong names! What a fantastic way to get the concept across to the students! Of course, I’d love you to use this with your bloggers and if you ever want the Word document of it so you can change the instructions for Blogspot just let me know! Thank you for inspiring me to move forward on my long shelved plans for creating student blogs! Perfect blend of students learning technological correct usage and skills. I am such a non-techie and I really need to push myself in this area. @ Debbie, so glad you found the post useful. Well done trying to push yourself and good luck with your student blogs! This is a fantastic document. It can be particularly hard for young students to understand copy right and fair use. It is wonderful that you are instilling these values and understandings early on. It won’t be a shock to them to find out that they can’t just use any image online. @ Kelly, I think after a fair bit of work on it, my blogging students have a good understanding. You’re right though about it being a shock later on. Unfortunately, I think the idea that you can’t use any online image comes as a bit of a shock to many adults! Hopefully we can spread the word a bit! Kathleen, I love the document and am totally impressed with the students’ blogs. I would like to use it with my year 7 students and also share it with the teachers at my school to use with their students. It does not only apply to blogging, but anything involving use of images, music etc. I work extensively in Blackboard with my students but would love to open their communication up to include a wider online community. How did you set up your students’ blogs? Was it inside edublog? @ Helen, I’m so glad you found the document useful and you’re more than welcome to use it and share it. You’re right that it applies to a lot more than just blogging! I did set up my student blogs with Edublogs. The Victorian Education Department has Edublogs Campus subscriptions called Global Teacher and Global Student. This allows all teachers to create blogs for themselves and their students. I’ve also used Google’s Blogger program for blogging before and it is very easy to use but I think it could be blocked in some schools in some states? I am doing a technology enrichment program with some Grade 2/3 students at my school, and we’re going to be focusing on blogging. I want the students to have their own blogs, and me to be the administrator. Did you set this up on your grade blog? So your the children use their grade blog to login, and then they click on ‘my blogs’ and choose their blog? Or is this set up differently? Sorry, but any help would be appreciated! You seem to be a whizz at this sort of stuff! @ Amy, do you have a class blog with Global Student? If so, go to your dashboard and go to Users – Blog & User Creator. The children will then have their own blog with their own username and password and you can tick the box during the setup to be the administrator. The Edublogs help site here should have all the help you need. Let me know how you go! This is fabulous Kathleen – and I am very impressed with your budding bloggers. Your document will be such a help in launching my class into the world of copyright and creative commons. thank you so much for sharing. so i just read your post thing and i was wondering how can a 7/8 year old have a blog? are they mature? i don’t even think me being in gr.7 would be able to have my own blog, but sadly my hole class and i have to make oneof our own blogs. ia there any advice you would be able to give? @ Bayleigh, thanks for your comment. I think if you look at my students’ blog you will see for yourself whether they are able to have a blog. This post has the links to my five student blogs and info on how I set up the blogs with my students. Not sure what advice you’re after for your blog but if you let me know I’d be happy to help. Kathleen, thank you so much for sharing this document. I’ve been doing some work on creative commons with my students and learning along with them. Having your very clear, easy to follow document, is most helpful! I have embedded your document in my class blog for us all to refer to. Thanks so much Kathleen! You gave me a great idea for a project I wanted to make with my students. It’s about promoting our school and our extracurricular activity and gaining partnerships with other schools and organizations. And I now believe that the best way to do this is to have the students blog and have pictures and all sorts of fun things! Thanks again! keep up the good work! I just stumbled across this post while looking for a new and fun activity for my students and I have to say I was amazed by Rhiannon and Bianca’s blogs! I’m going to “steal” your idea because I do believe my students will also be excited about blogging! Thank you! @ Maria – good luck with blogging. Bianca and Rhiannon have done a fabulous job and I hope they continue to blog now they are no longer in my class! Kathleen, thanks for the great explanation and step-by-step guide to using FlickrCC images. I am beginning blogging with 7th graders. We’ve been using CC images all year, so I’m excited to have them get started blogging. Hopefully they will be responsible. Thanks for sharing your document to use with our students. That is very thoughtful! Thanks for letting me know you enjoyed the document. I hope the kids find it useful! Good luck with your blogging adventures! That’s so awesome! In class we have learnt how to use “Creative Commens” in Flicker. I regulary give credit to my image sources! Please cheak out my blog and be sure to leave a comment! My name is Hannah and I love to use pictures in posts. I think that you have a very nice blog. Thanks for your terrific comment! It is great to hear from student bloggers. You are doing a wonderful job, keep it up! I believe that using Creative Commons and giving attributions is a very important part of being a blogger. If it weren’t for our viewers respect we wouldn’t have as much motivation to blog. A way of getting a viewers respect is to see they leave links to the pictures they are using. Thanks for your terrific comment! It is great to hear from student bloggers. i agree with you about respect. You are doing a fabulous job, keep it up! Hi. I just want to say you did a fantastic job on your blog. And it’s a unique idea that your second graders already have blogs! You did a fabulous job. Hey i just wanted to say that you are doing a good job with your blog.Also that you have some good ideas with your blog. Sure, you are welcome to use my resources. Thank you so much for asking and for the attribution. Good luck with your seminars. I’m sure they’ll be very popular! Hello, my name is Nikki and i just stumbled across this and wanted to tell you that I LOVE this! I love using pictures any way I can and I love how you used them! Good job on your blog and you have awesome ideas. Keep up the good work i look forward to seeing more! Hi my name is Liam and i came across this, and I looked at this and I was amazed of how you can teach children in a different creative way.